As you might have heard, a major vulnerability in SSL (the secure channel used for HTTPS) has been detected recently. As many as two thirds of internet sites were affected, including social networks and major web sites. 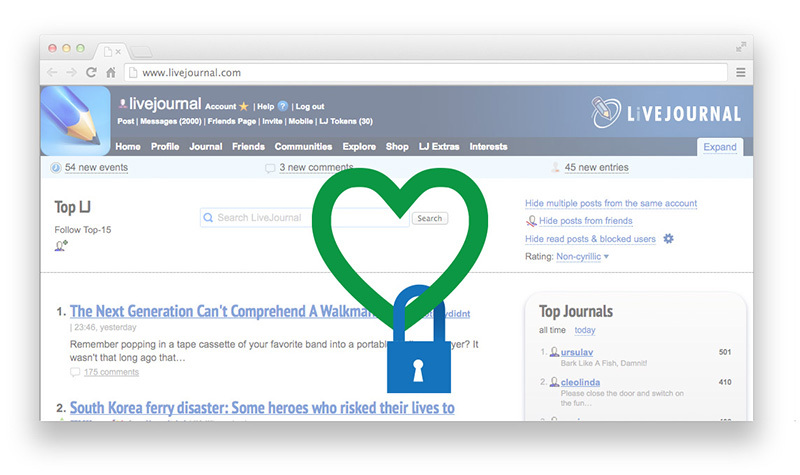 We are happy to confirm that LiveJournal is not vulnerable and has not been affected at all. Meanwhile, in the past 12 months we have been working hard to deploy many security features to protect user data. Nevertheless, even though LiveJournal was not affected by the Heartbleed bug, changing your password is still a good idea, especially if you use similar passwords on other sites whose data may have been compromised. If you haven't changed your password in the last year, we recommend that you do so now.